Baton Rouge Traditions is a compilation of research conducted in the greater Baton Rouge area primarily over the past decade for the Baton Rouge Folklife Survey, the New Populations Project, and other sources. The project was coordinated by Maida Owens, and 22 folklorists and other writers contributed. Together these 39 essays offer a glimpse of this metropolitan area that is the state's capital. * indicates that a field report is available upon request. In Fall 2017, four Baton Rouge Traditions events were held where the public made squares for the Baton Rouge Traditions quilt. Click here to learn about the Baton Rouge Folklife Survey, the public events, and the making of the quilt. Click here for the exhibit and how to bring it to your Louisiana community. 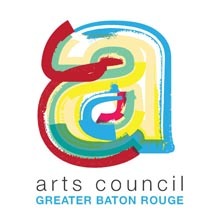 This project was supported in part by a grant from the Louisiana Division of the Arts, Office of Cultural Development, Department of Culture, Recreation & Tourism, in cooperation with the Louisiana State Arts Council, and the National Endowment for the Arts, a Federal agency and with support from the Arts Council of Greater Baton Rouge and The Giving Quilt. Inc. Additional funding was from an Archie Green Fellowship from the Library of Congress to support occupational folklore research. Maida Owens is director of the Louisiana Folklife Program within the Division of the Arts. Most of this collection of essays were prepared from 2014 and 2017 as part of the Baton Rouge Folklife Survey. Other essays were prepared as part of the New Populations Initiative, the Louisiana Folklore Miscellany, or earlier projects.